"Training is invaluable. It would take a lot longer to learn how to fly a hovercraft without being trained by someone with experience." "Can you fly a hovercraft with zero training? It isn’t probable." Andy Sutter, recently retired, joined the Navy at age 19. For the last 12 years, he was involved in the Navy’s LCAC (Landing Craft Air Cushion) program, advancing from Navigator to Craftmaster (pilot) to Craftmaster Trainer. Why would someone who flies 100-ton hovercraft - and teaches others to fly them - want to take a training course at Hovercraft Training Centers on a craft a mere fraction of that size? 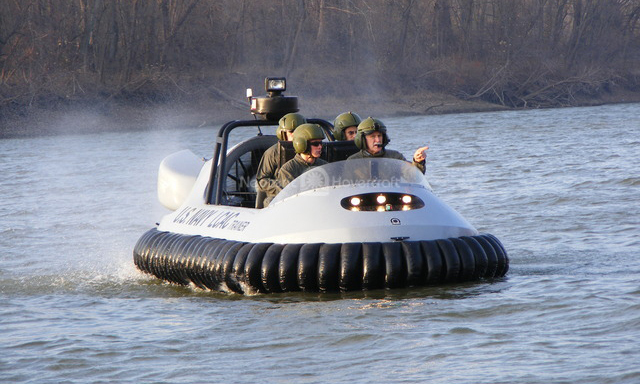 The untrained eye might not recognize much similarity between light hovercraft - such as HTC’s Neoteric training craft - and the Navy’s LCAC, a $22 million behemoth that transports 180 Marines along with weapon systems and heavy cargo directly from ship to shore. But these two vehicles share a significant trait: they operate by the same basic principles, just as a 2-seat Cessna flies by the same rules as a Boeing 747. 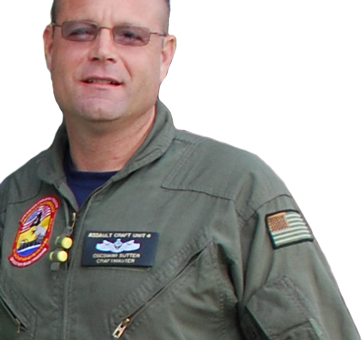 This similarity led Chris Fitzgerald – founder of HTC and Neoteric Hovercraft, and one of the world’s most experienced hovercraft pilots – to believe that the Navy would benefit from using HTC for initial LCAC training, just as military pilots undergo initial flight training in light aircraft then move on to heavy aircraft. 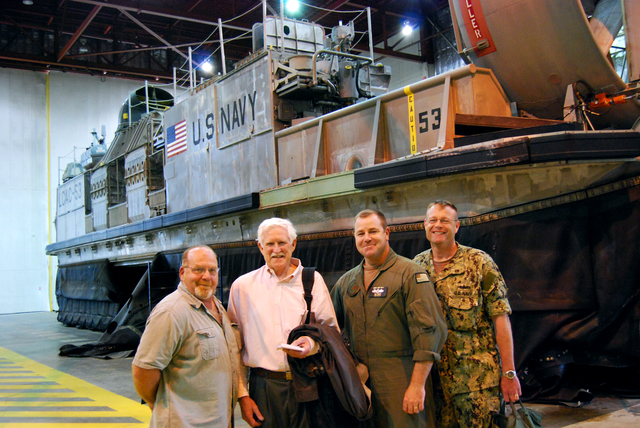 When Sutter learned of this theory, he and fellow Craftmaster/Trainer Dave Convery invited Fitzgerald to visit U.S. Navy Assault Craft Unit 4 (ACU4) in Virginia Beach – where he stepped into the Craftmaster seat of an LCAC and flew it seamlessly. "I found it relatively easy, with no advance instruction," Fitzgerald says. "I had no trouble getting over the hump, operating in a straight line, turning, modulating speed, stopping. 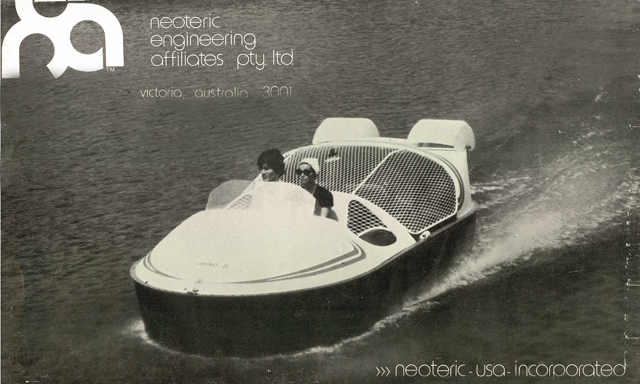 That can be attributed to my experience piloting smaller light hovercraft." And Sutter had another motive. Facing retirement, he saw a possible opportunity to keep flying. "My goal was to see if I could help HTC and maybe have a job when I retired. 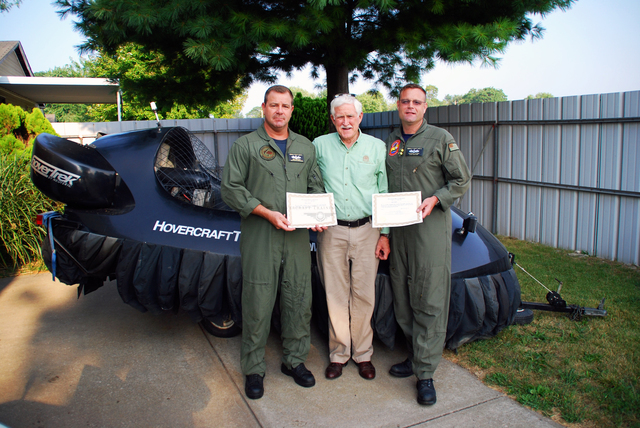 Flying hovercraft is a great thing to do, and I love to teach," he says. So Sutter and Convery came to HTC headquarters to evaluate our training courses and discuss how preliminary training at HTC might benefit the Navy. In the beginning, he was doubtful that it could. "Before I came here, I was going to say absolutely no. But in flying this craft, using the reverse thrust buckets, I learned the skills can be transferred, that this light hovercraft operates by the same principles as heavy hovercraft, from plow-in to sideslip to how to control the stern." Sutter said after his HTC training. Sutter enjoyed his first experience in a light hovercraft. "It felt like a combination of a golf cart and a hockey puck! It’s very agile – it can get into lots of difficult areas," he says. "I felt very comfortable; it was similar to what we teach, but the sense of speed is greater in a smaller craft." And he was impressed with the Neoteric craft’s reverse thrust. "What was really great is the way Chris spun it around and backed it up." 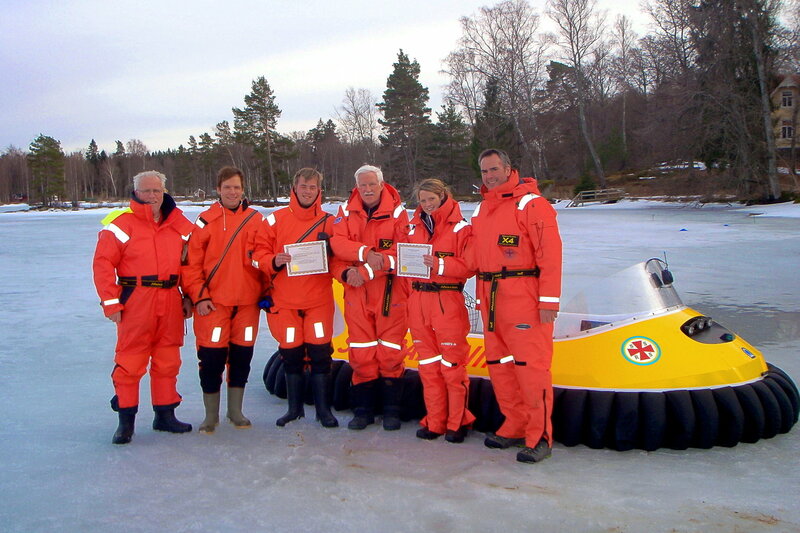 And Sutter emphasized the importance of training, regardless of the size of the hovercraft. "Can you fly a hovercraft with zero training? It isn’t probable. I taught myself to ski without training and fell probably 150 times. Finally I took a lesson and the change was amazing. If I’d trained before I hit the slopes, I’d have been skiing without falling on the second day – and I wouldn’t have been so sore from crashing!" The military’s current LCAC training program is a costly protocol with high attrition rates. 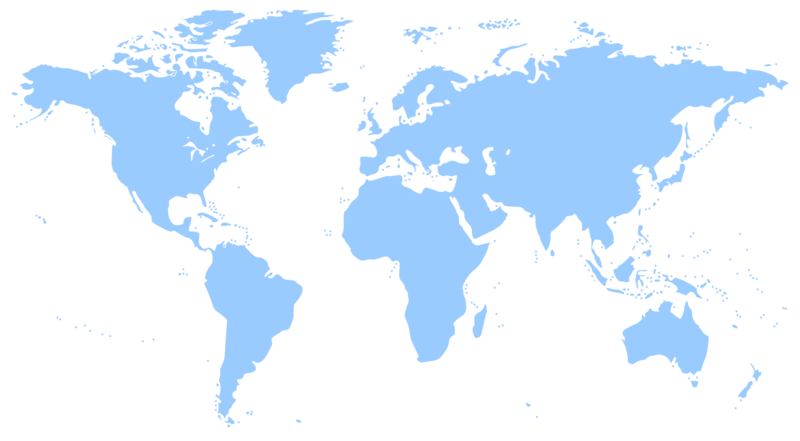 It costs approximately $200,000 per trainee and the dropout rates range from 15% to 65%. Should the U.S. Navy decide to use Hovercraft Training Centers for initial LCAC training, it would not only vastly decrease costs, it would also decrease attrition by serving as an inexpensive way to qualify future LCAC Craftmasters. And, since light hovercraft so easily capture public attention, they would be an excellent public relations tool to boost the success of the military’s recruiting efforts. Finally, it could also keep Andy Sutter flying – with a job as a hovercraft instructor at HTC!